Dr. Myron Guymon, Trustee (RMSO) and AAO Council on Communications consultant Dr. Anil Idiculla talk about the topic of mental wellness in relation to the practice of orthodontics. DOS Chair and AAO Board of Trustee member Dr. Michael Durbin (MSO) speaks with host Pam Paladin to update members on the latest from the AAO’s DOS program, including how members can easily launch a program in their state. COC Chair Dr. Anil Idiculla and AAO Board of Trustees member and COC Board Liaison Dr. Myron Guymon speak with host Pam Paladin to update members on the latest from the AAO’s Council on Communications, including recent results from the Consumer Awareness Program’s new digital campaign. Kevin Dillard and Sean Murphy, AAO’s general counsel and associate general counsel, join host Pam Paladin for two segments. Segment 1 addresses online reviews, and best practices to avoid scrutiny by the Federal Trade Commission. In Segment 2, members are introduced to some of the free releases and waivers available for download, and circumstances when their use can be beneficial for orthodontists and their patients. This is the second in a series of conversations with AAO interim executive director Dr. DeWayne McCamish. He provides background on why members are asked to respond to the Economics of Orthodontics/Patient Census survey, then summarizes experiences at the recent European Orthodontic Society meeting, where AAO leaders met with counterparts, and where new international AAO members were enrolled. Dr. McCamish concludes his interview with a status report on the search for a permanent AAO executive director. In Segment 1, AAO general counsel Kevin Dillard and AAO associate general counsel Sean Murphy lead a discussion regarding how you can deal with a patient who has filed bankruptcy. 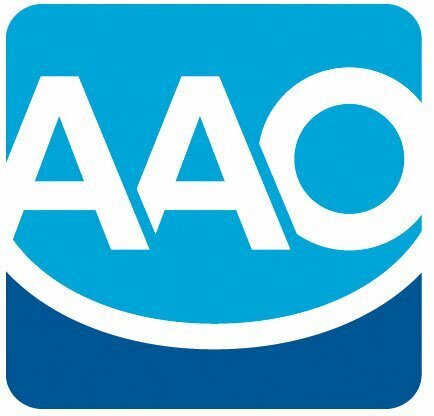 Dr. DeWayne McCamish, an orthodontist, AAO past president and interim AAO executive director, joins the conversation, along with Brian Hockett, a bankruptcy lawyer and a partner with the St. Louis, Missouri law firm Thompson, Coburn. The Segment 2 discussion examines how to handle situations that arise with parents who are divorced (or divorcing), with discussion by Dr. McCamish, Kevin Dillard and Sean Murphy. Kevin Dillard, AAO’s general counsel, and host Pam Paladin discuss the American Healthcare Act with Kevin O’Neill and Pary Mody from Arnold & Porter, AAO’s legislative counsel in Washington D.C. A bill which addresses issues for which the AAO has been advocating passed the House of Representatives on May 4, 2017; the Senate will next consider the bill. The AAO's Sean Murphy discusses recent developments as of 3/16/2017 regarding the CBO score for the AHCA with the AAO's federal lobbyist, Pari Mody, with the DC firm Arnold & Porter Kaye Scholer LLP.